Now that the Illinois Senate’s “Grand Bargain” bill bundle has fallen apart, some members of the House are running with individual pieces of the reform package. 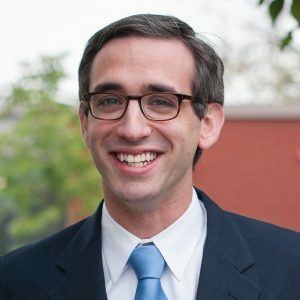 State Rep. Will Guzzardi (D-Chicago) announced a new push in the House to pass legislation raising the minimum wage in Illinois to $15 an hour by 2022. According to Guzzardi, 2.3 million Illinois residents, or “more than 40 percent of working people in Illinois are paid less than $15/hour,” Guzzardi said. The current minimum wage in the state is $8.25 and has remained stagnant since 2012. Since then, House Democrats have pushed for a wage increase on their own. State Rep. Mary Flowers (D-Chicago) in January proposed a bill to raise the minimum wage to $15 “effective immediately.” That bill has not left the Labor and Commerce Committee. Cook County passed a minimum wage increase in 2016 to $10/hour starting in July, 2017. Eventually, the minimum wage will rise to $13/hour in suburban Cook by July, 2019. Chicago’s minimum wage was increased in 2014 and will go up to $11/hour in July. Michelle Lewis, a McDonald’s worker from Chicago, said she worked two jobs and still needed public assistance to support her family. The states of New York and California have both passed minimum wage increases that are phasing up to $15/hour. Cities such as Washington D.C. and Seattle, Wash. have also boosted wages to $15 per hour. Although many argue that minimum wage increases can hurt small businesses, some economic research shows that measured wage increases over time recirculate money quickly and boost the economy. “Workers could use the pay increase to make purchases that would fuel economic growth,” said Ashley Mesch, a $10/hour home health Aide from Springfield, in a press statement. The MIT “Living Wage Calculator” shows that in Illinois, two working adults with two children require an hourly rate of $16.39 each to pay for typical family expenses working full-time (2,080 hours per year). If a proposed version of the $15/hour minimum wage increase passes the House, it would have to pass the Senate and be approved by Rauner. Without counterbalancing Turnaround Agenda reforms in worker’s compensation and pensions, the Senate may have less incentive to approve a version of the law, and minimum wages may remain stagnant.